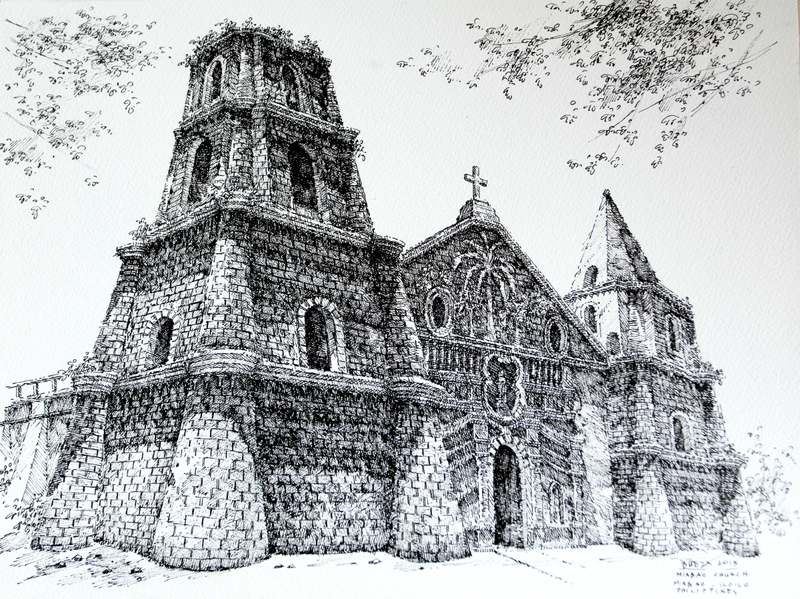 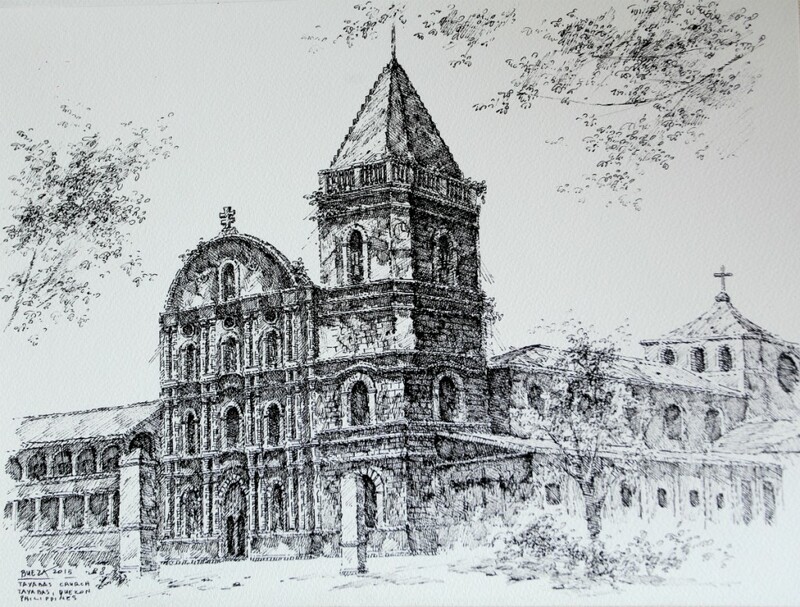 Pen and Ink is the medium used by Filipino Artist, Noel Bueza, to describe some of the old churches located in the Philippines. Noel Bueza, an acclaimed artist from Lucban, Quezon, Philippines, is famous for his rendering using pen and ink. 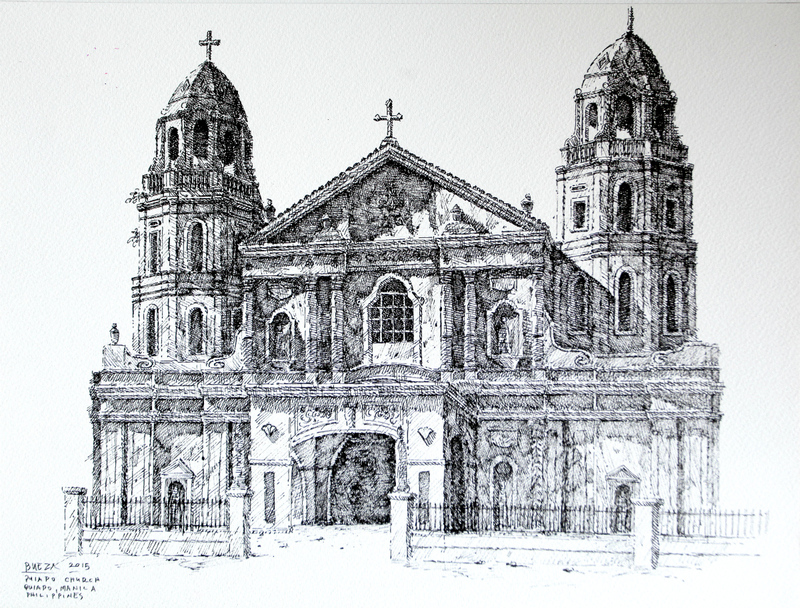 Noel has created these masterpieces with his meticulous strokes of lines and curves. 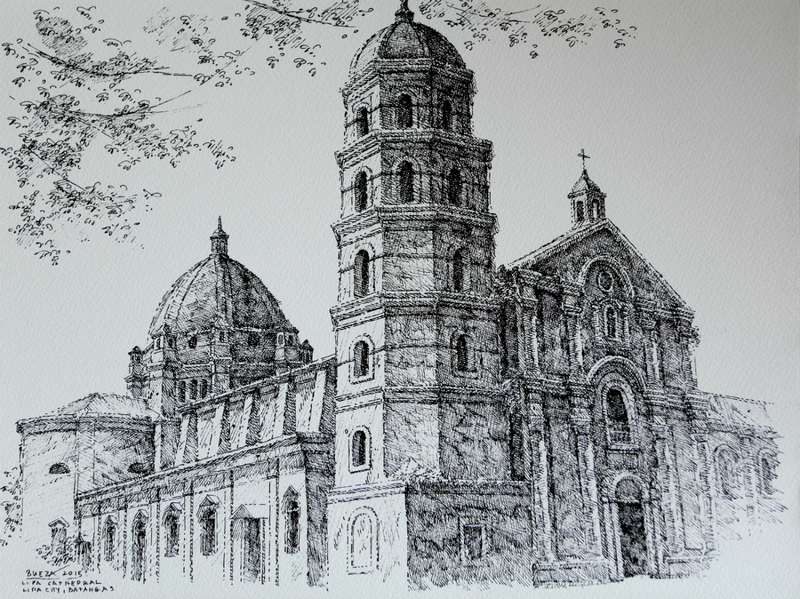 The highlights and shadows of these works of art are very realistic. 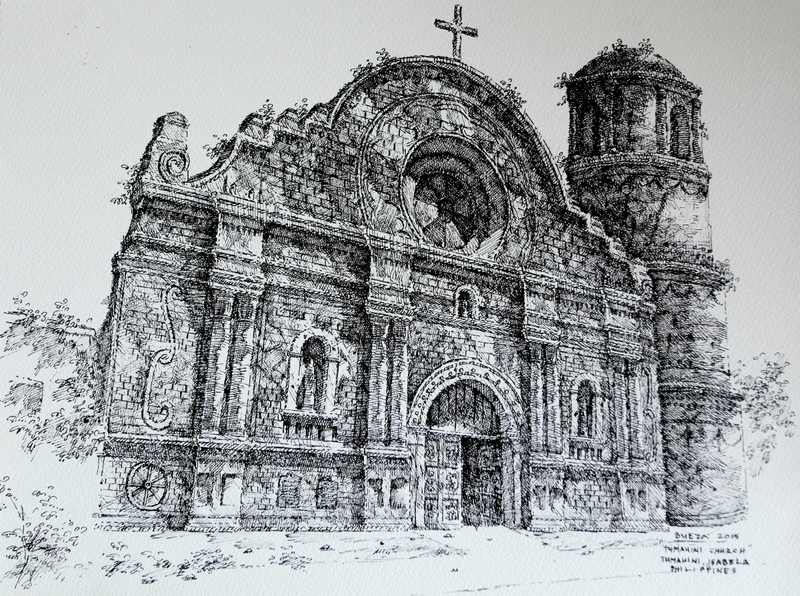 It was an honor for Macuha Art Gallery to have these Pen and Ink art works from Noel Bueza – The Master of Pen and Ink. in favor of his website, since here every material is quality based stuff. 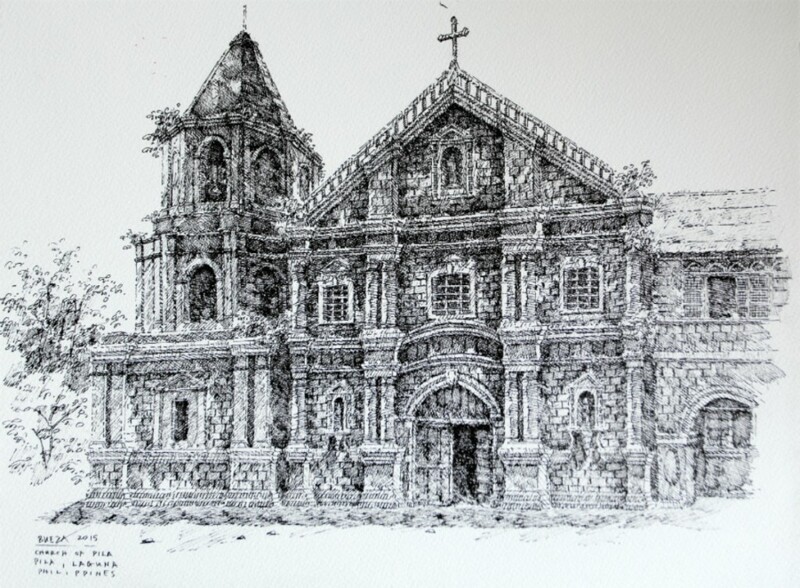 Does anyone know something about the “Pinagsimbaanan Church” at Pagudpud Ilocos Norte? 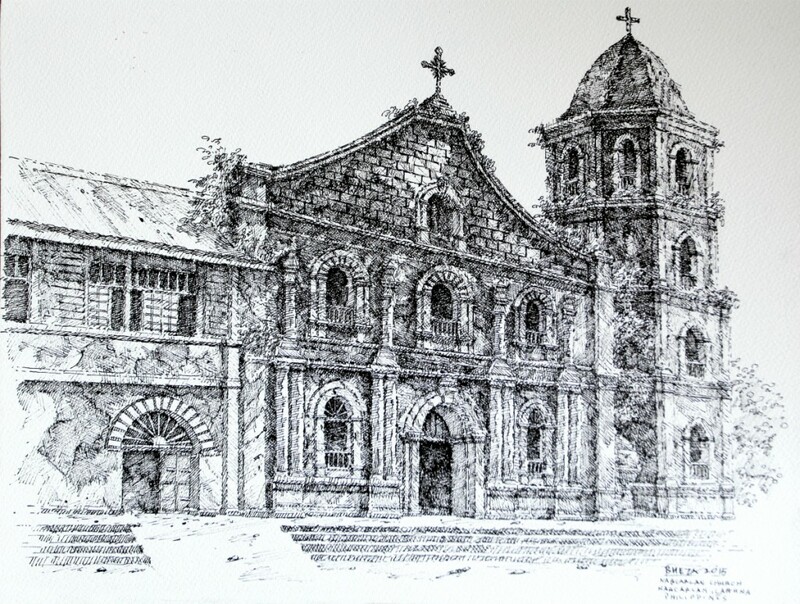 It was told to us verbally by old people here in Pagudpud that there is a old church build during the spaniards period in the Philippines but it was destroyed die to the world wars. 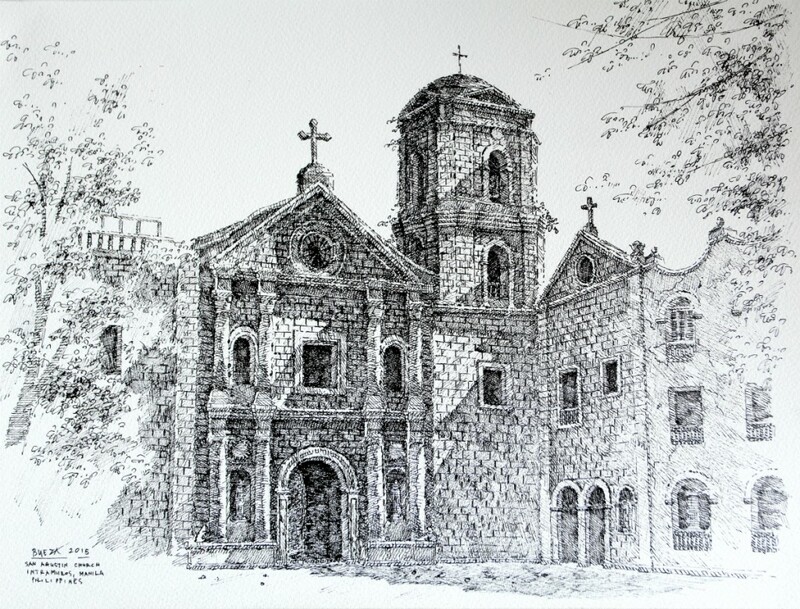 But upon my research there is no record listed. 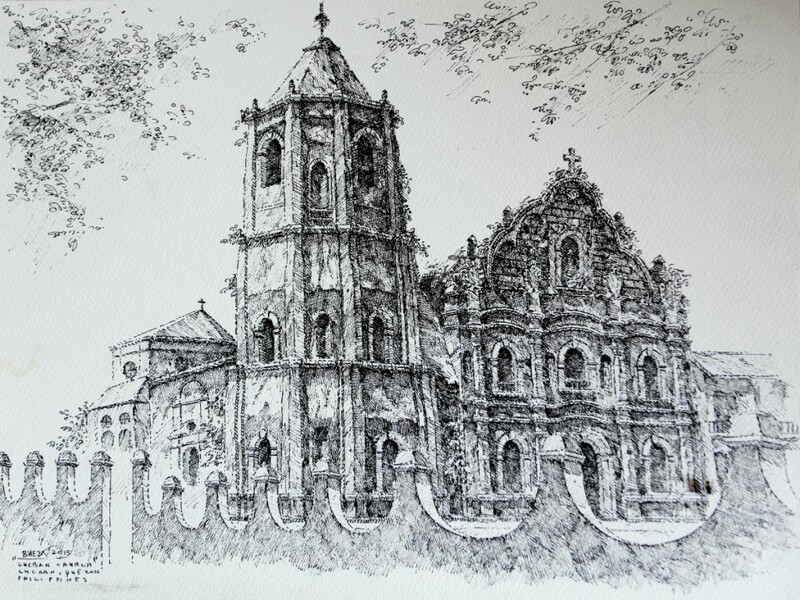 Some says that it us found in our school the Pagudpud National high school because there are lost spirits that we felt last year and some said also that they found some walls or church artifacts. 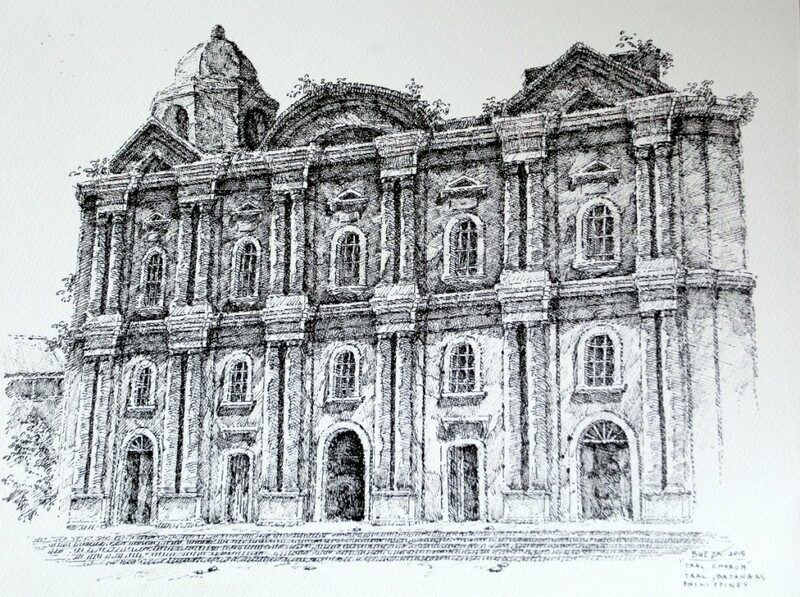 Is this true or just an imagination?